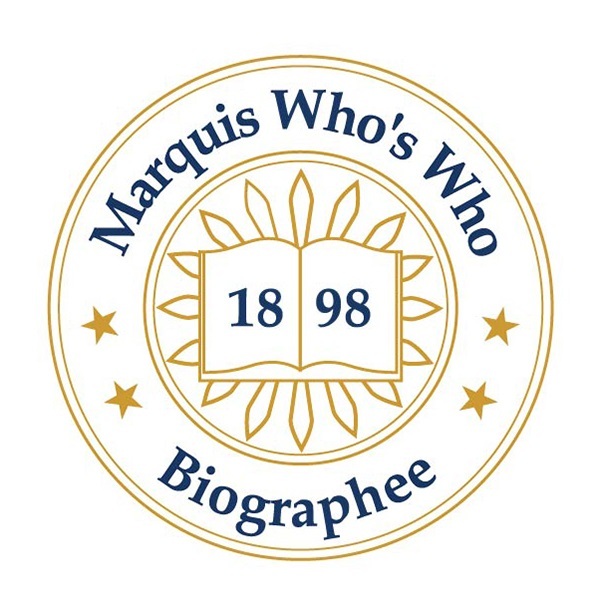 URBANA, IL, August 27, 2018 — Marquis Who's Who, the world's premier publisher of biographical profiles, is proud to present Tam Wei, Ph.D., with the Albert Nelson Marquis Lifetime Achievement Award. An accomplished listee, Dr. Wei celebrates many years' experience in her professional network, and has been noted for achievements, leadership qualities, and the credentials and successes she has accrued in her field. As in all Marquis Who's Who biographical volumes, individuals profiled are selected on the basis of current reference value. Factors such as position, noteworthy accomplishments, visibility, and prominence in a field are all taken into account during the selection process. Invested in the betterment of others, Dr. Wei has dedicated her career to psychology as well as psychological education. She has worked as a mental health specialist for the East Central Illinois Refugee Mutual Assistance Center in Urbana, IL, since 1986. Additionally, Dr. Wei has been a consultant for psychology and mental health specifically related to Vietnamese refugee students for various schools since 1975. Dr. Wei, a native Vietnamese, had been married to Nguyen Tai Chat, a medical doctor who tragically died six months after the couples' marriage (1946). Stricken with grief yet full of love for others, she dedicated herself to teaching. She immigrated to the United States in 1955 and married Lun Shin Wei, a professor in the Food Sciences Department at the University of Illinois in Urbana, Illinois. In 1975, with the arrival of many refugees from Asia, Dr. Wei started the Refugee Center for East Central Illinois, returned to school to get an administrator certificate and became the director of the Bilingual Education program for Champaign School District 4 in Champaign, IL. from 1982 to 1983. Since then, Dr. Wei was very involved in the work with the refugees. She gave numerous workshops, in-service training for teachers, and social workers on cultural sensitivity. She was also the school psychologist for the Ford-Iroquois Counties Special Education Cooperative from 1970 to 1981 and served the University of Illinois as an assistant professor from 1967 to 1969 and instructor of educational psychology from 1962 to 1967. Dr. Wei has also been an elementary school teacher at the Thanh Quan school in Vietnam from 1948 to 1952. She strived to be an excellent role model for others, immersing herself in education and psychological studies. Related to her career, Dr. Wei has served on multiple advisory boards. She was a member of the advisory boards for the East Central Illinois Refugee Assistance Center from 1981 to 1986 and the Opportunity Industrialization Center in Champaign, IL, from 1979 to 1981. Dr. Wei was additionally on the advisory boards for the Illinois Advisory Home Economic Extension from 1978 to 1979 and the Illinois Council on Multi-Cultural Education from 1977 to 1979. Prior to holding these positions, Dr. Wei pursued her education at multiple academic institutions, earning a Bachelor of Philosophy from Hanoi University in Vietnam in 1949 and a Licentiate in education and psychology from the University of Geneva in Switzerland in 1955. She then attended the University of Illinois, earning a Master of Education and a Doctor of Philosophy in educational psychology in 1958 and 1966, respectively. Furthermore, Dr. Wei is a certified school psychologist, administrator and bilingual teacher of French and Vietnamese. Now, at 92 years old, she looks back and is satisfied with what she tried to accomplish in her life. Born in a war-torn country, she dream of peace and has tried her best to contribute all of her effort to the work of peace. She remembers fondly the autistic boy she taught at the Child Development Lab at the University of Illinois who is now a mature, responsible person as well as a refugee student who had no knowledge of English and is now a brain surgeon. She hopes the training she provided for those who work professionally with the refugees can help them have a better understanding of their needs in order to work more effectively. Recognized for her contributions, Dr. Wei is a member of multiple organizations. She is a member of the International Council of Psychologists, the Illinois School Psychologists Association and the Illinois Registry of Psychologists with Special Skills. She also holds membership with the National Association for the Education and Advancement of Cambodian, Laotian and Vietnamese Americans. Dr. Wei has also been recognized in multiple editions of Who's Who in America, Who's Who in American Education, Who's Who in Medicine and Healthcare and Who's Who of American Women. Dr. Wei attributes her great success to her professor Jean Piaget, a renowned psychologist. He taught her while she studied at the University of Geneva, mentoring her throughout her academic career. Dr. Wei learned much from him, especially valuing his teachings on the humanistic aspect of the development of knowledge. In recognition of outstanding contributions to her profession and the Marquis Who's Who community, Dr. Wei has been featured on the Albert Nelson Marquis Lifetime Achievement website. Please visit www.ltachievers.com for more information about this honor.